Hugh Fearnley-Whittingstall is best known for being a British Chef. Hugh Fearnley-Whittingstall is a British celebrity chef, television personality, journalist and food writer. He has also become a well-known campaigner on issues related to food production and the environment, such as fisheries management and animal welfare. Born in London, Hugh Fearnley-Whittingstall was brought up in Gloustershire and educated at Oxford. After a temporary relocation to Africa, where Hugh was considering a career in wildlife conservation, he returned to the UK and became a sous-chef at the River Café in London. However, Fearnley-Whittingstall has since revealed that "being messy" and "lacking discipline" made him unsuitable for working in the River Café kitchen, but that he regards it as a period that helped shape his current career. Following his time at The River Café, Fearnley-Whittingstall commenced freelance journalism and was published in Punch, the Evening Standard and The Sunday Times. 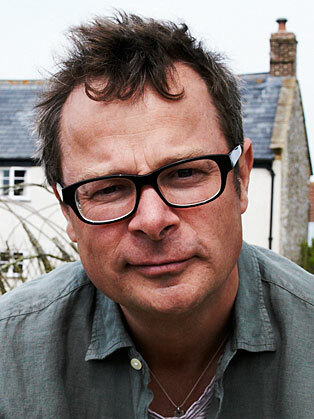 Fearnley-Whittingstall's initial television exposure was on Cook on the Wild Side, an exploration of earthy cuisine; the show depicted the celebrity chef's habit of "picking up roadkill and eating the hedgerows[...]" and consequently "earned him his nickname of Hugh Fearlessly-Eatsitall." Fearnley-Whittingstall appeared on the first series of Channel 4's The F Word in 2005, advising Gordon Ramsey on the rearing of turkeys at Ramsay's London home; the turkeys are eaten in the last episode of the series. Further appearances on The F-Word in 2006 and 2007 involved Fearnley-Whittingstall advising Ramsay on the rearing of pigs and lambs, respectively; again, the consumption of the livestock occurs in the last episodes of the series. At the start of 2008, Fearnley-Whittingstall – along with fellow celebrity chefs Jamie Oliver and Ramsay – was featured in Channel 4's Big Food Fight season; his contribution to the season was Hugh’s Chicken Run which was shown over three consecutive nights. Fearnley-Whittingstall created three chicken farms in Axminster (one intensive, one commercial free-range and the third, a community farm project staffed by volunteers), culminating in a "Chicken Out!" campaign to encourage the eating of free-range chickens. Fearnley-Whittingstall published the book Cuisine Bon Marché in 1994. Fearnley-Whittingstall wrote the cookbooks, The River Cottage Year, The River Cottage Fish Book, The River Cottage Cookbook (winner of the Andre Simon Food Book of the Year Award, the Guild of Food Writers’ Michael Smith Award, and the Glenfiddich Trophy and Food Book of the Year) and The River Cottage Meat Book. He has written articles for The Guardian and The Observer since 2001. A collection of his short articles was published in October 2006 under the title Hugh Fearlessly Eats It All: Dispatches from the Gastronomic Frontline. In January 2008, Fearnley-Whittingstall called on hospitality and food service operators to use less intensively farmed chicken. In 2009, Hugh became a patron of ChildHope UK an international child protection charity working in Africa, Asia and South America. In 2009, 'The River Cottage Summer's Here' programme promoted the Landshare project that seeks to bring together people who wish to grow fruit and vegetables, but have no land, with landowners willing to donate spare land for cultivation. The online project was commissioned by Channel 4. Trump’s US Inauguration – What Next for Making America Great Again?